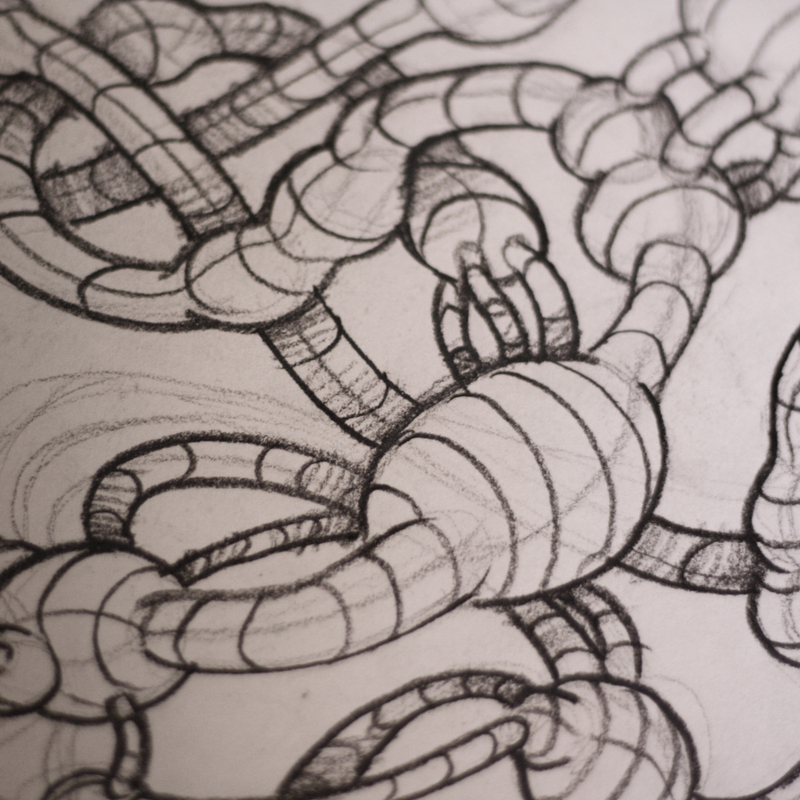 Organic shapes are challenging. They don’t fit neatly into perspective grids and it can be difficult to sketch the shapes you see in your imagination. Fortunately, they get easier with practice. 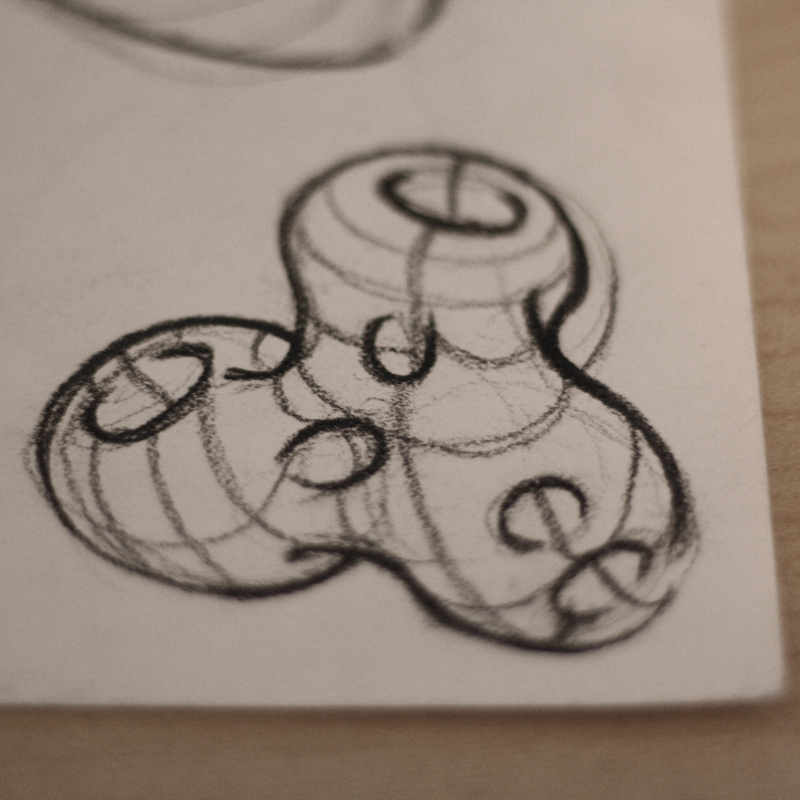 This organic-shape sketching exercise uses lines, instead of shading, to show an object’s surface. It lets you focus on the shape itself, without worrying about lighting, texture or color. I like to use it a warmup exercise, but it’s also a useful technique for figuring out actual products, and a great way to pass the time when you’re stuck at the bus stop or on the phone. First, draw an outline. Start with something simple, but slightly irregular, like the shape below. You could call it a blob-circle. Then, imagine that it has a smooth, rounded surface. Draw three evenly spaced lines over that surface to show how it’s rounded. Finally, draw one perpendicular line to reinforce the rounded look. The final drawing should look like a rounded pebble, or a rock from the bottom of a riverbed. Now draw the blob-circle outline several more times, and experiment. Use surface lines to make one shape look flat. Make another one slightly concave. Try curving the lines more or less and see what that does to the shape. Add bumps or drill holes in the surface. Even though the outline stays the same, the surface lines can make the overall shape look very different. Once you’ve explored the blob-circle, make some shapes of your own. 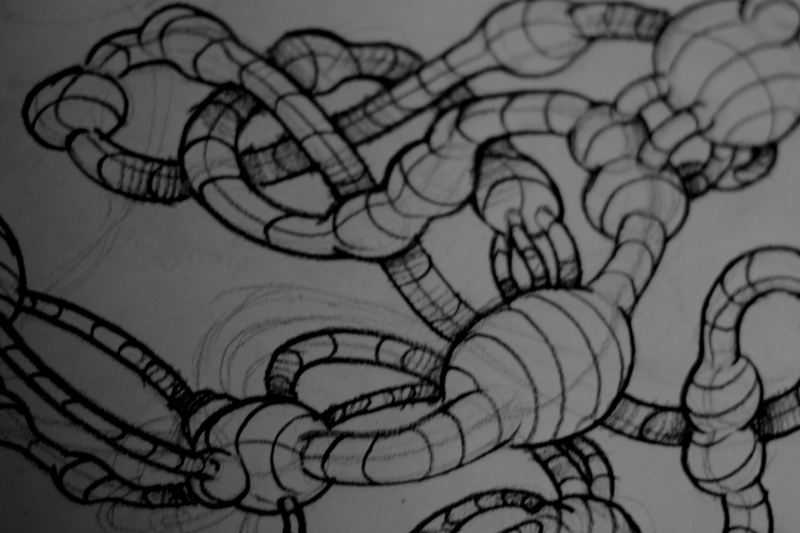 Start with another random outline and see what you can do by adding different kinds of surface lines. Or picture a shape in your imagination and use outlines and surface lines to put it on paper. This technique can be a great way to figure out organic product shapes, but don’t limit yourself to products—especially if you’re using it to warm up or practice. Play around with it. Try different shapes and different levels of complexity. It will improve your drawing skills and your ability to accurately imagine three-dimensional shapes. It’s kind of fun too, and the results can be strangely beautiful.